My brothers and sisters, true love is a reflection of the Savior's love. In December of each year, we call it the Christmas spirit. You can hear it. You can see it. You can feel it. This is the calm before the storm of excitement and exclamation, of shouting and shaking of presents. It's the moment of peace before our living room is filled with the sounds of wrapping paper being discarded in a flurry. There are so many difficult things that they will face in life, but for now, I just want my kids to be children for a while, to feel joy and wonder and to receive the gifts they've been given. I imagine God does feel this way. How could God not? Maybe the reason I feel these feelings of anticipation and happiness over the joy of my children is that I have been created to feel them--created in the image of the One who felt them first. Perhaps more than most days of the year, today is a day when many of us come face to face with the fact that what we believe to be true--what we desire above all---doesn't mesh with that we are seeing around us. It's called "cognitive dissonance"--the feeling that you get when what you are experiencing is exactly opposite to what you believed to be true. For some of us, the feeling is a mere shiver of uneasiness, but for others, it's a full-on, constant shudder that doesn't want to go away. We know the world isn't as it should be. Not by a long shot. And there are not enough cute animal videos on Facebook to make it any better. 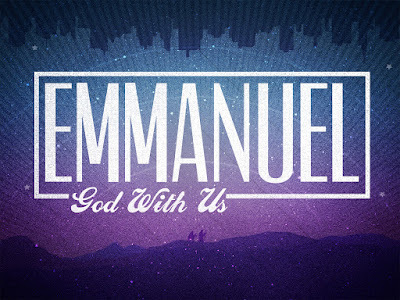 Today is the fourth and final installment of our sermon series, Emmanuel: God with us. The idea behind this series has been very simple: We value well what we remember well. And what we are remembering well during this season of expectation is that because of Jesus we can know that God is with us. God is with us to turn the world upside down. Today is also the Fourth Sunday of the season of Advent. The Fourth Sunday of Advent has been celebrated by the historic Church as a day when everything is turned upside down. The proud are made low, the fortunes of the poor are lifted--and all of this comes from the passage of Scripture that we'll be reading shortly from the Gospel of Luke. The Wait Is Almost Over, Are You Ready? Yesterday, my littlest boy was allowed to wear his pajamas to school. As he was putting on his jacket and shoes, he informed me that it was the "last day of school," and then he rummaged around in his backpack and pulled out a ticket to the "Polar Express" party he was going to be attending. "If I didn't have this ticket," he told me, "I'd have to go to another class instead." Usually, when he rolls away on his bike in the morning, he's not all that thrilled. He's not a morning person, you see. But yesterday morning he peddled away with a grin on his face and joyful fierceness in the way he rode. I looked at the calendar in disbelief this morning. December 21st. Four more days until Christmas. No wonder he was so happy. He knows that Christmas is just days away. All of the waiting, the excitement, the anticipation is just days away. It's about to happen. A cold coming we had of it,Just the worst time of yearFor a journey, and such a long journey: The ways deep and the weather sharp, The very dead of winter. I don't know about you, but I'm filled with anticipation as I journey through this Advent season. I'm eager for the arrival and renewal of hope. I'm longing for the fresh start of a new year. I also feel like I've got some things that need to change so I can be ready. I was at the grocery store yesterday when I witnessed a moment of road rage in the parking lot. It all started when a woman driving an SUV was trying to navigate the busy parking lot to find a space. She didn't notice another car backing out of a parking space in her path, and the driver of that vehicle had to slam on his brakes to avoid hitting her. He rolled down his window, shouted at her for a few seconds (I couldn't hear what he said), and then he peeled out with a screech of tires and raced down the parking row, and then gunned his engine as he made his way to the exit. As I put my groceries in my car, I saw the woman walking toward the store entrance with her shoulders bent and look on her face that spoke of the burden she was carrying--the burden of the hurtful words and actions of the Road Rage guy. At that moment, I saw myself in both of those people. In 587 BCE, the Babylonian king Nebuchadnezzar sacked the city of Jerusalem, torn down it's walls and destroyed Solomon's Temple. He then took thousands of Jews back to Babylon to live in captivity for what would eventually be an entire generation. Psalm 137 imagines a realistic moment during that long treck to Babylon as the Hebrew captives neared the city where they would be paraded and then forced to settle and assimilate. The Babylonian captors demand a song "of Zion" from the captives. 2 When John, who was in prison, heard about the deeds of the Messiah, he sent his disciples 3 to ask him, “Are you the one who is to come, or should we expect someone else?” I've always been intrigued by John's question because it's so incredibly real. There had been a time when John was sure that Jesus was the Messiah. But at this moment, as he's languishing in prison, John begins to wonder. Why Make A Big Deal Out of Advent? I have this memory of a Christmas pageant I was in when I was like six years old. I was a shepherd, and I had a line, I think. I would like to say that I was the shepherd who said, "Let us go even unto Bethlehem and see this thing which is come to pass, which the Lord hath made known to us." All our pageants used the King James Version of the Bible. Anyway, I remember standing there thinking, "Why are we making such a big deal out of Jesus being born. Didn't we do this last year?" The more you think about it, the less crazy that question sounds, doesn't it? I mean why do we make such a big deal out of Advent and then Christmas anyway? What's at the heart of it all? We know that the Jesus' birth wasn't something that the first Christians really celebrated at all. Father Alfred Delp was a Jesuit priest who was falsely accused in a plot to overthrow Hitler, which landed him in prison in Nazi Germany. He would be executed by the Nazis shortly before the end of World War II in February of 1945. During his last season of Advent, he wrote about how he had begun to think differently about Advent as he paced back and forth in his three-foot cell. He also began to see the turmoil of the world around him in a new light. He decried the unbridled pride of his age which he believed was defined by a "false pathos" and "false security" in the belief in humankind's power. It was an age marked by what he referred to as "spiritual insanity." I'm not keen on waiting--especially when I'm waiting to buy something in a store in the weeks just before Christmas. It's the worst kind of torture for someone who struggles with impatience. And invariably, the store in question will have twelve cash registers, but only three of them will be staffed. You know what I'm talking about, don't you? (I'm looking at you Wal-Mart) . My question is simply this: "Why create all of those cash registers when you build a store if they are destined to remain largely unused?" Is it just to mess with us? To give us the illusion of what could be if they actually staffed up the place? Maybe it's some sort of elaborate scheme to get us to buy more. If you buy more stuff, we'll be able to afford my cashiers--come on, help us out. If we're being honest, there's something unsettling about Advent--about the idea that God would come crashing into our reality as one of us. And what's even more unsettling is how God accomplished this. There was no Grecian dramatic and violent birth story here--the eternal Word of God did not spring fully armored from God's forehead. Nor was the Christ-child born into a royal family, surrounded by guards, protected and highly honored. Instead, God chose to enter into history as a tiny baby born to refugees--born without earthly protection, status or favor. And while we have romanticized this story and sanitized it for easy consumption, the truth of Advent is unsettling and amazing news. Tell That Good News Y'all! What do you do when you have some good news to tell? Do you stuff it way down into your gut and leave it there? Do you resist the urge to tell people your good news no matter who they might be, nor how excited it might make them? If you are like me, the first thing you do when you have some good news---the kind of news that is firing you up inside and burning a hole through you to get out---is to find that person you know who will celebrate with you the hardest and you tell them. Today is the Second Sunday of the season of Advent and it's also the second installment of the sermon series Emmanuel: God With Us. Because of Jesus we know that God is with us. 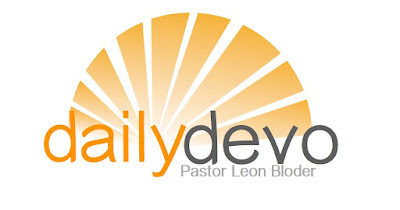 Today we are going to be exploring this one very important idea--God is with us to make a way for everyone. But first---let me go off on a bit of a tangent for a moment. I once read about a trend that is starting to gain some traction in our culture--it's not a huge, widespread movement by any means, but it's still out there, still happening. It's called sologamy or same-self marriage.